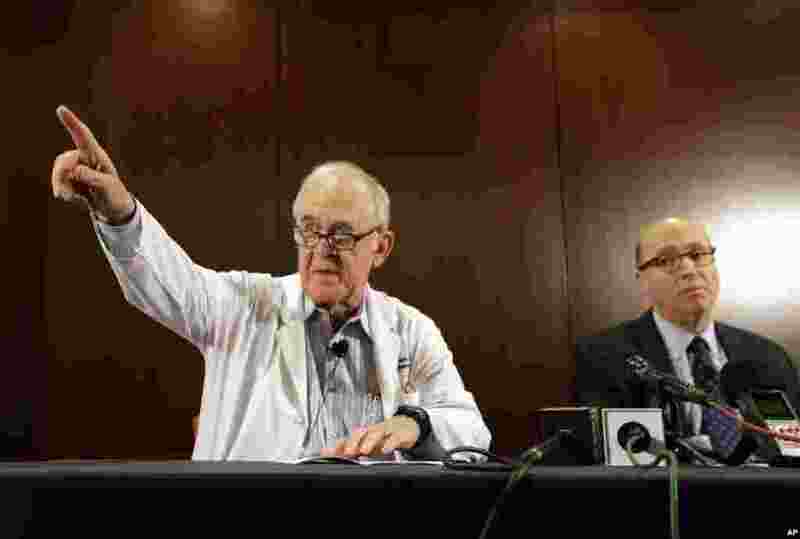 First Case of Ebola is Diagnosed in the U.S.
1 Dr. Edward Goodman (left) epidemiologist at Texas Health Presbyterian Hospital Dallas, takes a question from a reporter as Dr. Mark Lester looks on during a news conference about their patient infected with the Ebola virus. The patient is the first person in the U.S. diagnosed with Ebola, in Dallas, Texas, Sept. 30, 2014. 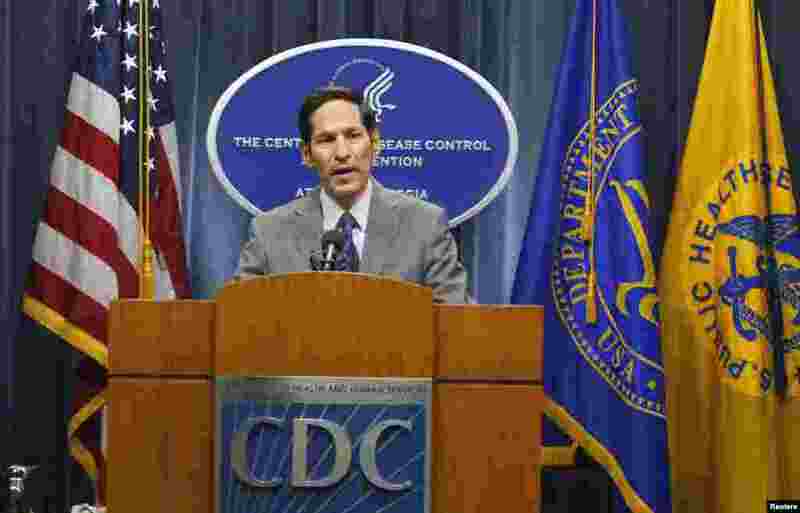 2 Centers for Disease Control and Prevention Director Dr. Thomas Frieden speaks at the CDC headquarters saying that a patient being treated at a Dallas hospital is the first person diagnosed with Ebola in the U.S., in Atlanta, Georgia, Sept. 30, 2014. 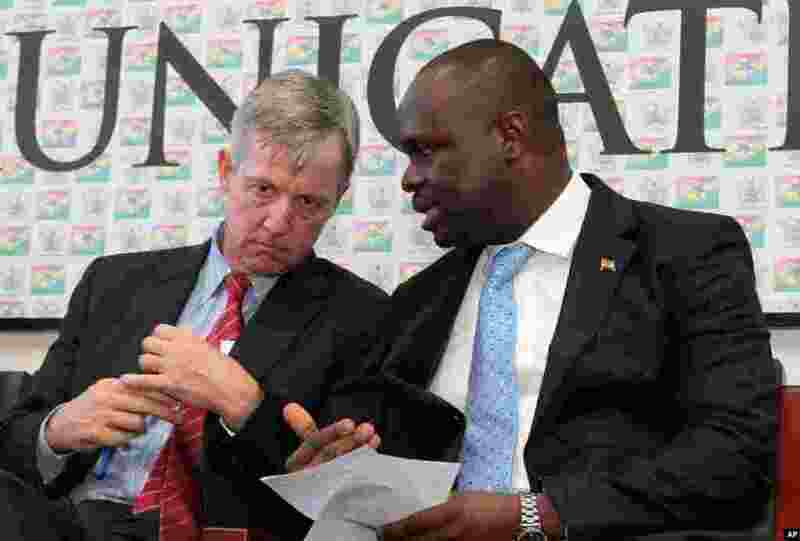 3 Head of the United Nations Mission for Ebola Emergency Anthony Banbury (left) and Ghanaian Minister of Information Dr. Edward Omane Boamah talk during a press conference on Ebola, in Accra, Ghana, Sept. 30, 2014. 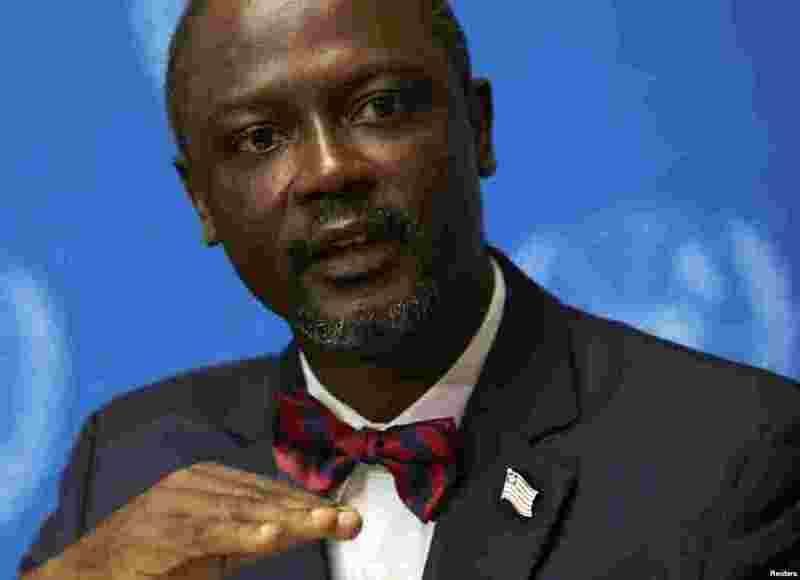 4 Axel Addy, Liberian Minister for Commerce and Industry, speaks at a news conference on the impact of Ebola at the United Nations European headquarters in Geneva, Sept. 30, 2014. 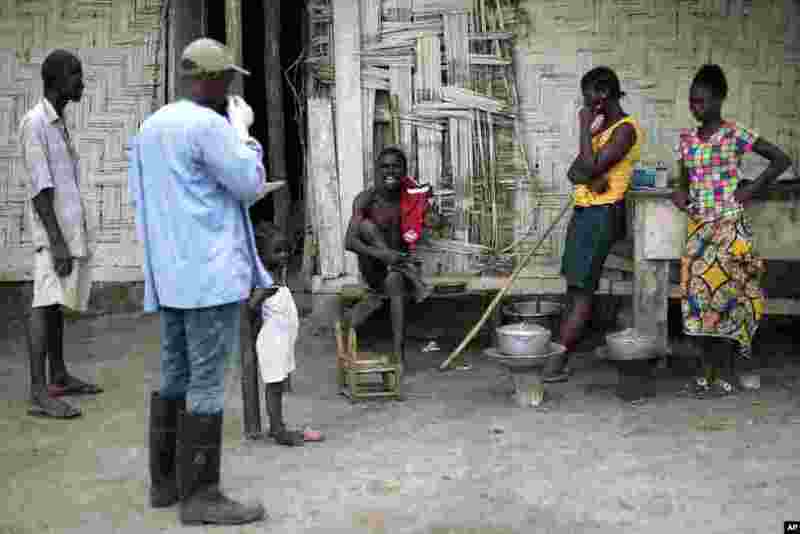 5 Mr. Kollis (center) who shows signs of possible Ebola infection, refuses to leave his home and board a District 13 ambulance dispatched to fetch him in Monrovia, Liberia, Sept. 30, 2014. 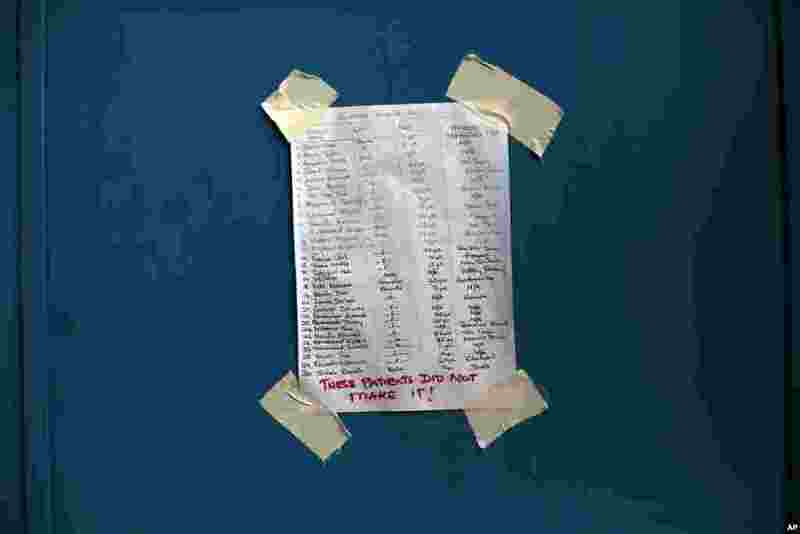 6 A list showing the names of the deceased for this day is taped on the door of the Island Clinic Ebola treatment unit in Monrovia, Liberia Sept. 30, 2014. 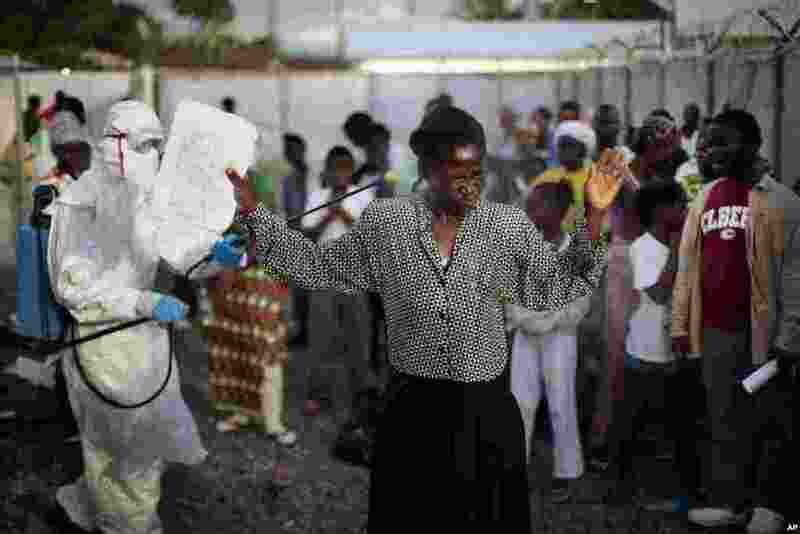 7 A woman being discharged from the Island Clinic Ebola treatment center is sprayed with disinfectant, Monrovia, Liberia, Sept. 30, 2014. 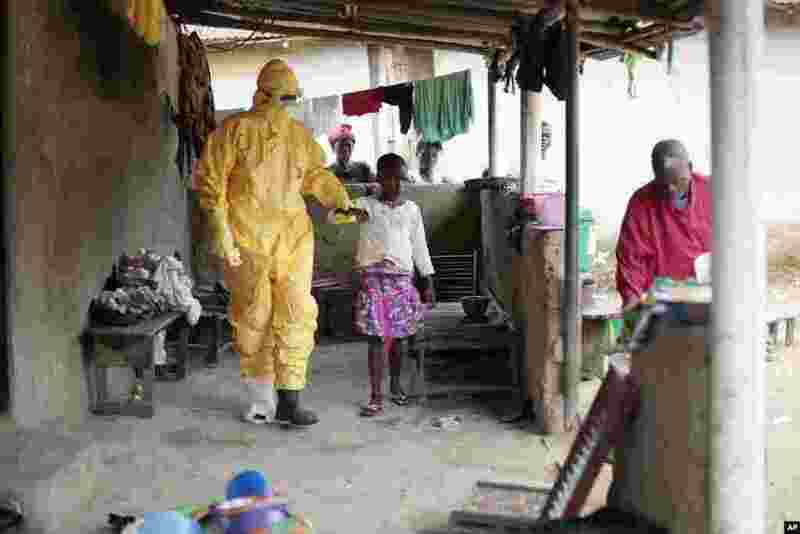 8 Nowa Paye, 9, is taken to an ambulance after showing signs of Ebola infection in Freeman Reserve, about 30 miles north of Monrovia, Liberia, Sept. 30, 2014. 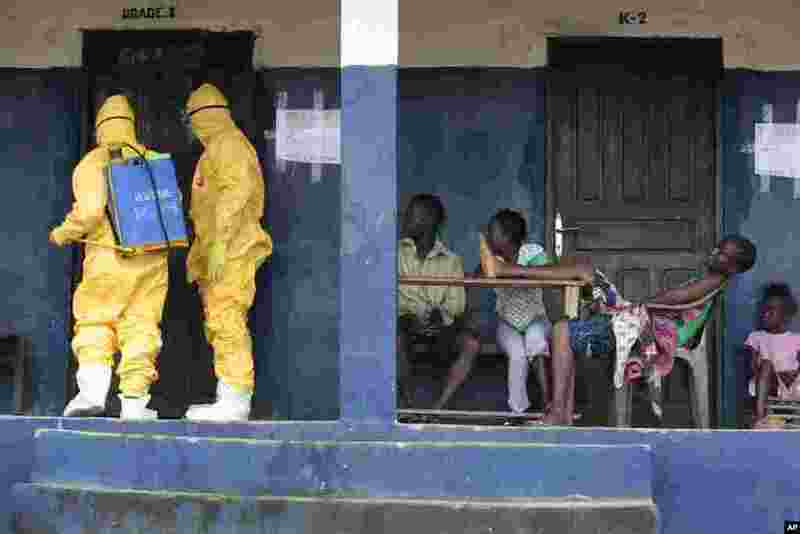 9 Residents of Freeman Reserve watch members of District 13 ambulance service disinfect a room as they pick up six suspected Ebola sufferers that had been quarantined, Sept. 30, 2014. 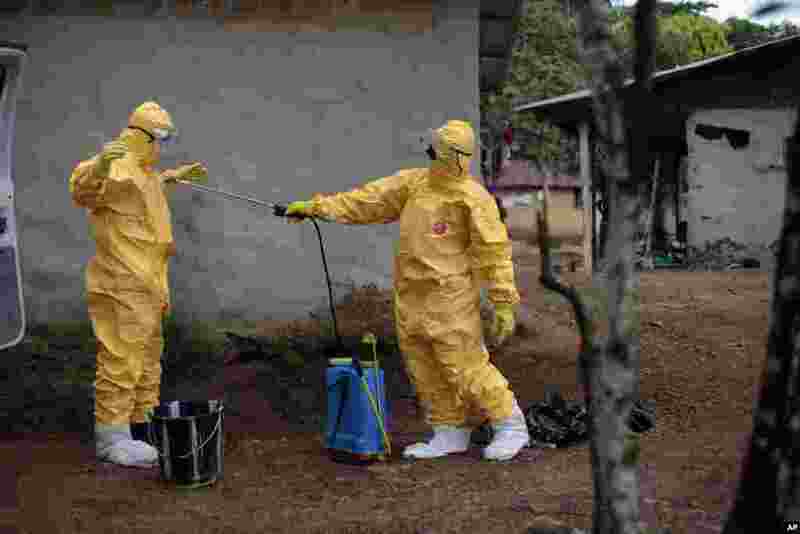 10 Gordon Kamara (left) is sprayed by Konah Deno after they loaded six patients suspected to have been infected by the Ebola virus into their ambulance in Freeman Reserve, Liberia, Sept. 30, 2014.